In the beginning, God created Adam. Then he made Eve. And ever since we've been picking up the pieces. 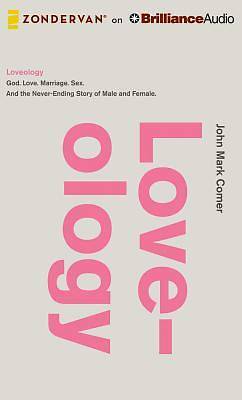 Loveology is just that--a theology of love. With an autobiographical thread that turns a book into a story, pastor and speaker John Mark Comer shares about what is right in male/female relationships--what God intended in the Garden. And about what is wrong--the fallout in a post-Eden world. Loveology starts with marriage and works backward. Comer deals with sexuality, romance, singleness, and what it means to be male and female; ending with a raw, uncut, anything goes Q and A dealing with the most asked questions about sexuality and relationships. This is an audiobook for singles, engaged couples, and the newly married--both inside and outside the church--who want to learn what the Scriptures have to say about sexuality and relationships. For those who are tired of Hollywood's propaganda, and the church's silence. And for people who want to ask the why questions and get intelligent, nuanced, grace-and-truth answers, rooted in the Scriptures.